Three Dorset residents are cycling from north Dorset to the south of Spain in June to raise money for Help for Heroes. 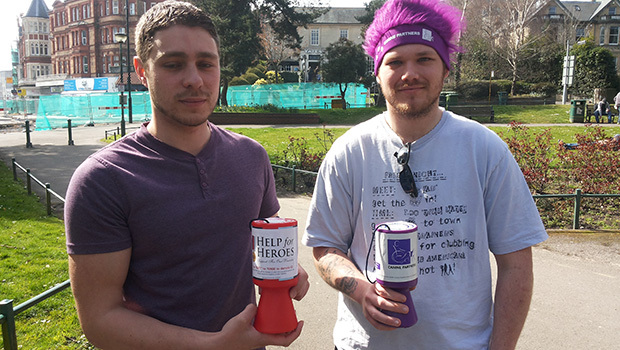 The trio – Jeremy Gibson, Myles Wheaton-Green and Luke Graham – are also cycling for Canine Partners and intend on raising at least £10,000. Help for Heroes is a charity for wounded soldiers and Canine Partners trains dogs that can be used by disabled people. They expect to cover the 1,300 miles journey in two weeks by pedalling around 120 miles a day. They will leave from Hazelbury Bryan on 8 June, catching a ferry from Poole to Cherbourg and then cycling down through France to Murcia in Spain.